It's amazing the number of Youtube videos that people record and share online of driving through the streets of Laos. From as mundane as a drive from work to home to a scenic motorbike ride through the country side, all those can be found online. I often dubbed it Google Street View "Lao Style". 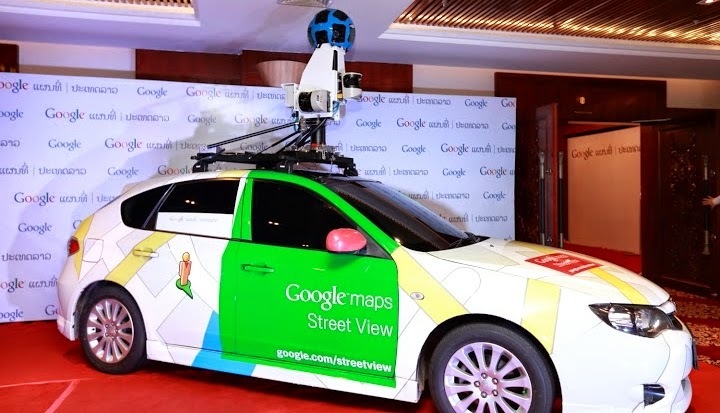 As it were, it was only a matter time that it would officially happen - that Google would finally bring Street View to Laos. As reported on TheNextWeb.com, July 24 2014, initially it'll begin with Vientiane city with the overall hope to do the entire country. Google Street View is a widely used and popular tool for both locals and tourists who want to look up a location or an address, that places the viewer right into literally a virtual reality map.